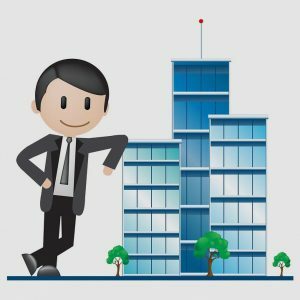 If you’re the owner of a commercial property, you’ll want to do everything you can to make sure that your investment doesn’t turn into a liability. The laws that regulate property ownership are very strict in terms of what is and isn’t under the responsibility of the landowner, especially in regards to company workplaces. That means that it’s important to be aware of what you’re liable for and how to ensure that you meet all of the requirements under the law. Here are some of the most important ways to ensure your management practices will hold up in any lawsuit. The Occupational Safety and Health Administration (OSHA) sets regulations that U.S. businesses with permanent employees are supposed to follow. These regulations involve rules on first aid, fire safety, hazardous material handling and other important safety matters. However, according to Entrepreneur.com, you might live in a state where state regulations govern safety rules that meet or exceed OSHA standards, so you’ll need to follow your state’s safety laws if this is the case. This is when doing research into local regulations will be important to ensuring that you aren’t accidentally violating a major safety law. In addition to general safety, your business should be compliant with all environmental standards set forth by state and federal organizations to prevent liabilities. The Environmental Site Assessment (ESA) involves a process that will determine the environmental liability of your company. After an ESA inspection of your commercial premises has been completed, you’ll know whether you need to make any improvements to meet standards. Even if you didn’t know about something before even buying the property, it your legal responsibility to resolve all safety violations found in an ESA. To make passing ESA inspections easier, some environmental engineering companies offer services to help become more environmentally compliant. If your business is housed inside of an older building that was built before the early-2000s, you should schedule an asbestos inspection of your premises. Asbestos, which is found in some older building materials and commercial products, has been linked to major respiratory problems, including a type of cancer known as mesothelioma. If asbestos is found in your business after the inspection has been completed, you may be required to provide additional safety equipment for some of your workers or have certain parts of your building reconstructed with asbestos-free materials. You could face additional liabilities if your electrical and plumbing systems aren’t up to par. Faulty wires, broken pipes and other damaged or broken system components are just some of the problems that could result in serious injuries to your workers. A faulty plumbing system may also create an unsanitary work environment where more viruses and bacteria are free to grow and possibly make your employees sick. Hiring the most qualified electricians and plumbers can resolve many of these safety concerns. Avoiding liabilities is one of the best ways to keep your business operations running smoothly. Emphasizing the importance of safety should be one of your top priorities if you want to keep yourself and your employees free from danger. Being aware of and on top of all safety regulations will also protect your company from lawsuit and liability.